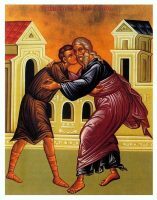 On the third Sunday of preparation for Lent, we hear the parable of the Prodigal Son (LK. 15:11-32). Together with the hymns on this day, the parable reveals to us the time of repentance as man’s return from exile. The prodigal son, we are told, went to a far country and there spent all that he had. A far country! It is this unique definition of our human condition that we must assume and make ours as we begin our approach to God. A man who has never had that experience, be it only very briefly, who has never felt that he is exiled from God and from real life, will never understand what Christianity is about. And the one who is perfectly “at home” in this world and its life, who has never been wounded by the nostalgic desire for another Reality, will not understand what is repentance. Repentance is often simply identified as a cool and “objective” enumeration of sins and transgressions, as the act of “pleading guilty” to a legal indictment. Confession and absolution are seen as being of a juridical nature. But something very essential is overlooked– without which neither confession nor absolution have any real meaning or power. This “something” is precisely the feeling of alienation from God, from the joy of communion with Him, from the real life as created and given by God. It is easy indeed to confess that I have not fasted on prescribed days, or missed my prayers, or become angry. It is quite a different thing, however, to realize suddenly that I have defiled and lost my spiritual beauty, that I am far away from my real home, my real life, and that something precious and pure and beautiful has been hopelessly broken in the very texture of my existence. Yet this, and only this, is repentance, and therefore it is also a deep desire to return, to go back, to recover that lost home…. It is the Psalm of exile. It was sung by the Jews in their Babylonian captivity as they thought of their holy city of Jerusalem. It has become forever the song of man as he realizes his exile form God, and realizing it, becomes man again: the one who can never be fully satisfied by anything in this fallen world, for by nature and vocation he is a pilgrim of the Absolute. This Psalm will be sung twice more: on the last two Sundays before Lent. 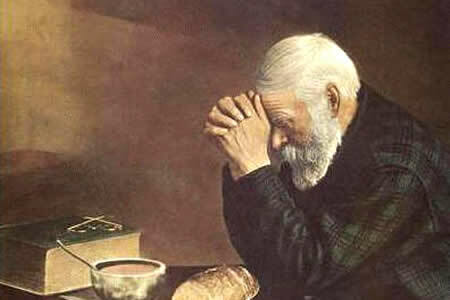 It reveals Lent itself as pilgrimage and repentance– as return.